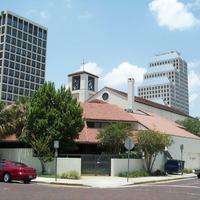 St. James Catholic Cathedral, located at 215 North Orange Avenue in Downtown Orlando, Florida, in 2001. 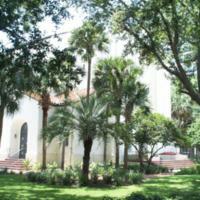 In 1881, Bishop John Moore purchased a block of land bound by Orange Avenue, Magnolia Avenue, Jefferson Street, and Robinson Street. On January 23, 1887, the cornerstone of the Holy Nativity Catholic Church was set under the leadership of Father Felix P. Swembergh. The building was designed by Kurz and Allison's Art Studio of Chicago, Illinois, in the American Gothic style. The structure was completed in June of 1891, under the guidance of Father Joseph J. Creed, who replaced Father Swembergh after his death in October 1887. 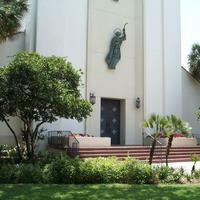 It was renamed as St. James Catholic Church the following year. 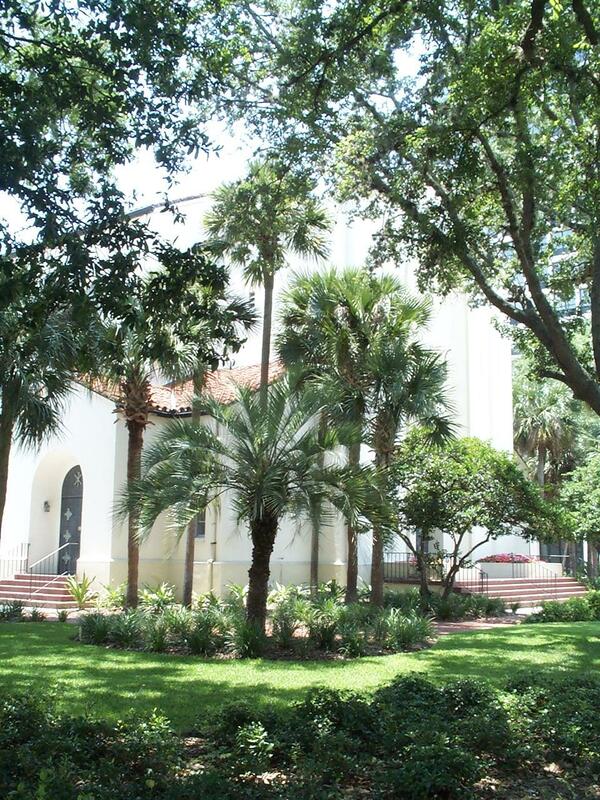 In 1889, a storm destroyed the church's roof and the City of Orlando condemned the building. 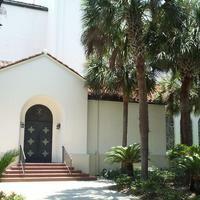 The church was rebuilt in 1889 in the old Carpenter Gothic style and seated 240. It was torn down around 1950 and the new building, designed by Donovan Dean and Arthur White, was completed on January 20, 1952. 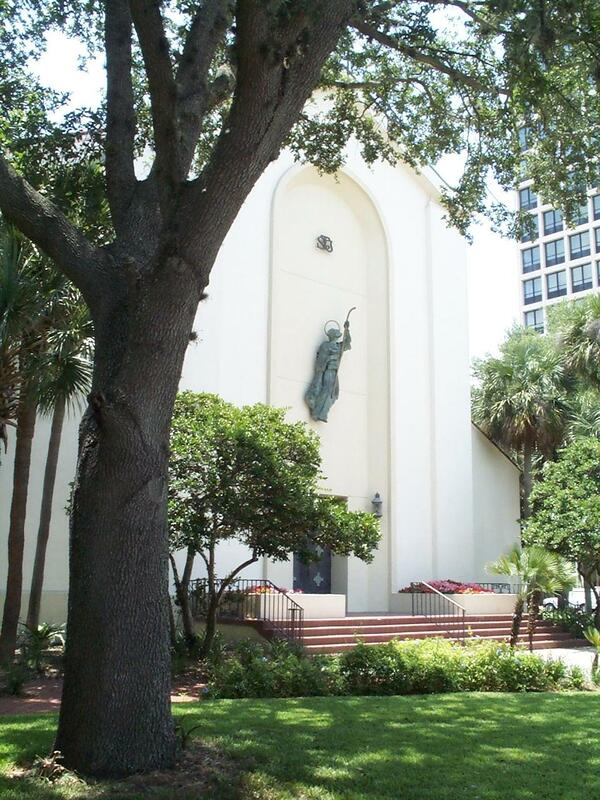 In 1977, the building was designated as the diocese's cathedral due to the destruction of the St. Charles Borromeo Cathedral by fire. 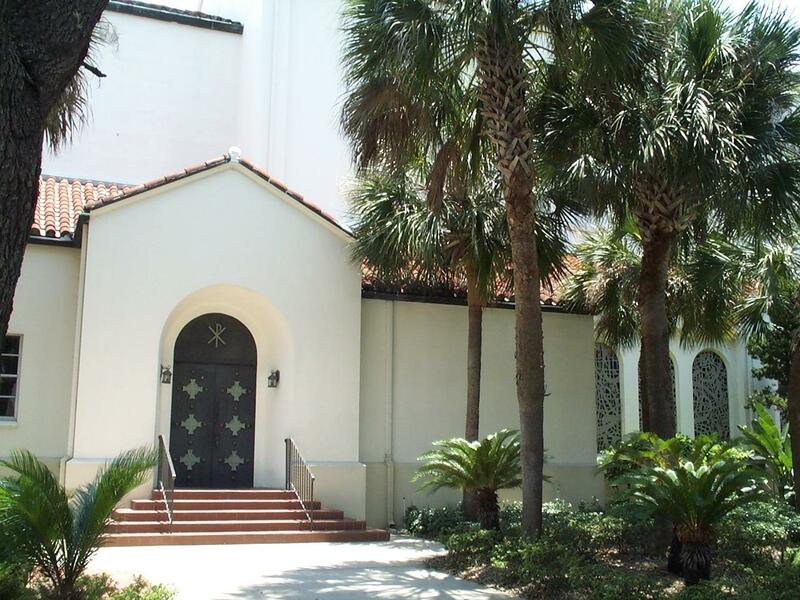 In July of 2009, the cathedral was closed for renovations and was re-dedicated on November 20, 2010. Original color image by Thomas Cook, 2001: Private Collection of Thomas Cook. 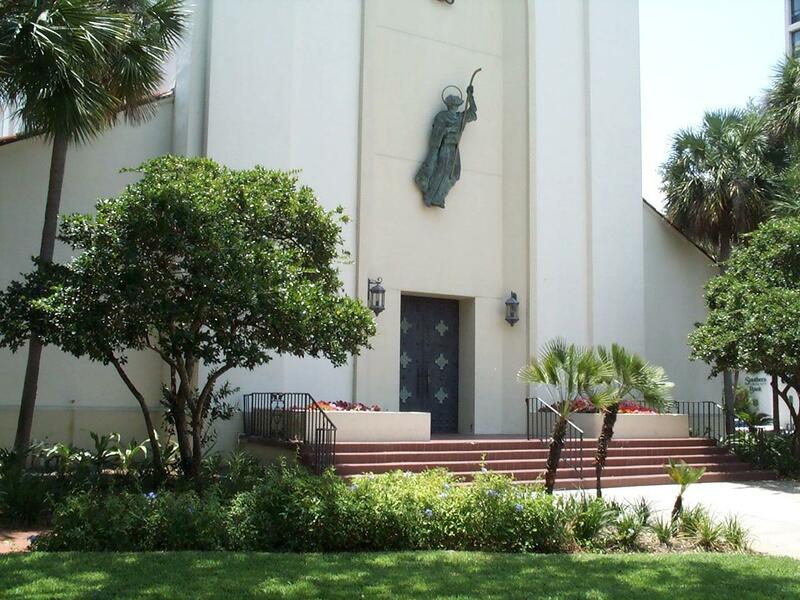 "About Us" St. James Catholic Cathedral. 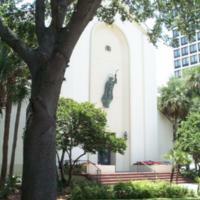 http://www.stjamesorlando.org/about-us/. Cook, Thomas. “St. 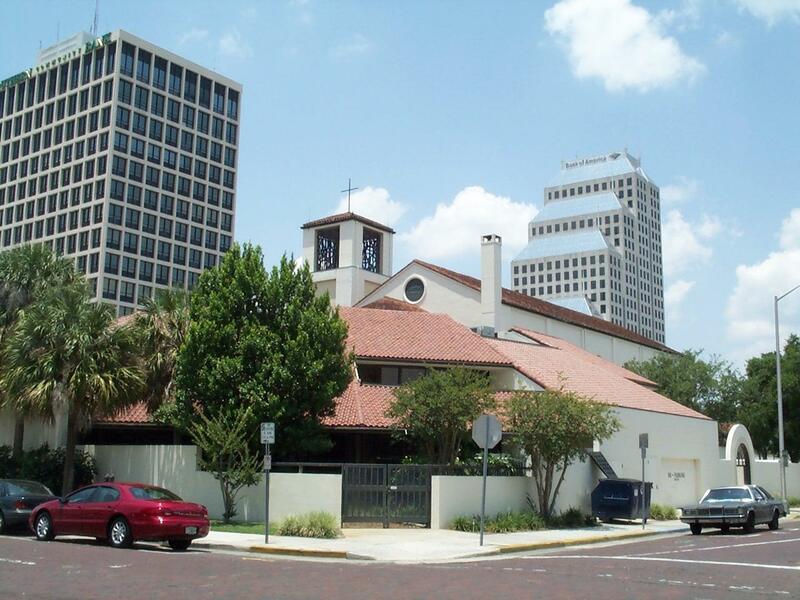 James Catholic Cathedral, 2001.” RICHES of Central Florida accessed April 20, 2019, https://richesmi.cah.ucf.edu/omeka/items/show/1958.